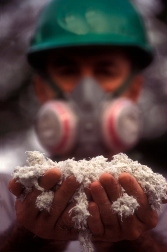 Asbestos Removal in Fort Collins & Throughout Northern Colorado - Asbestos Abatement, Inc. Residential, commercial, and industrial property owners cannot afford to take risks with asbestos. As the premier provider of asbestos removal in Fort Collins Colorado, Asbestos Abatement Inc should be your first call when you want to respond to or prevent a contamination. To fully and safely remove potential risks, you need help from highly skilled abatement professionals. Our technicians are state licensed, AHERA certified, and trained to meet all the requirements of OSHA regulations. Asbestos Abatement Inc also uses a third-party lab for the most accurate testing results. Choosing residential asbestos removal in Fort Collins Colorado will ensure that your home and your family can fully eradicate the problem as quickly as possible. The sooner it is removed, the better it is for the long term health of everyone in your home. Asbestos Abatement Inc is also the first-choince provider for property owners seeking mold remediation, asbestos boiler removal, and lead removal in Fort Collins. Our team is here to rapidly remove any of these serious threats from your property. We can respond to existing issues or we can evaluate your home to help you prevent future problems from arising. Asbestos Abatement Inc is dedicated to providing industry-leading lead, mold, and asbestos removal to the residents of Fort Collins. Contact us today for excellent customer service, professional abatement, and peace of mind.